With an influx of new tablets, smart phones, computers and other devices constantly hitting the market, it's almost impossible to argue that the future of technology is anything but bright. But it didn't always seem that way. In the past, as the world struggled to understand the meteoric rise in technological innovation, even those who worked in the industry were skeptical of its staying power. 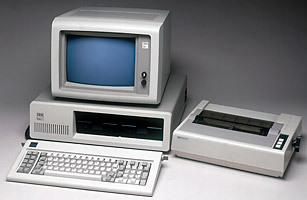 In 1977, Ken Olsen, founder of Digital Equipment Corp., stated, "There is no reason anyone would want a computer in their home." Yet in 2009, it was reported that approximately 80% of households in the U.S. had at least one computer. Darryl Zanuck, a movie producer at 20th Century Fox, said in 1946 that television wouldn't last because "people will soon get tired of staring at a plywood box every night." Now the demand for TV is so high that there are literally thousands of channels available for viewers' daily consumption. As for the Internet, that was also doomed to fail, according to astronomer Clifford Stoll. In a 1995 Newsweek column, Stoll said that "no online database will replace your daily newspaper, no CD-ROM can take the place of a competent teacher and no computer network will change the way government works." But, of course, the Internet is unquestionably one of the greatest inventions in modern history. There have even been more recent doubts about the iPhone. In 2007, Steve Ballmer, CEO of Microsoft, said, "There's no chance that the iPhone is going to get any significant market share. No chance." Well, we all know how that turned out. This just goes to show that what's not considered possible today may be the wave of the future. Time travel, anyone? See a photographic history of the computer.